Digital Storm, the predominant name in computer system integration and engineering, proudly introduces the X17E, the fastest gaming laptop on the market. Featuring either NVIDIA’s GTX 680M or AMD’s Radeon 7970M GPU, Digital Storm’s flagship 17” laptop delivers extreme gaming performance that is second to none. Whichever GPU gamers select, X17E delivers rich, detailed graphics on the system’s 17” display at 1080P HD resolution (1920 x 1080). Digital Storm’s technicians can stably overclock Intel’s latest i7-3920XM CPU to an impressive 4.5 GHz, that when combined with NVIDIA’s or AMD’s next-gen GPUs, create an unrivaled gaming experience. Digital Storm’s X17E supports up to 32GB of memory and is fully decked out with USB 3.0 ports, eSata, 9-in-1 card reader, Blu-ray drive and more. The laptop’s keyboard features different lighting zones and up to seven color options for a completely customized look and feel. 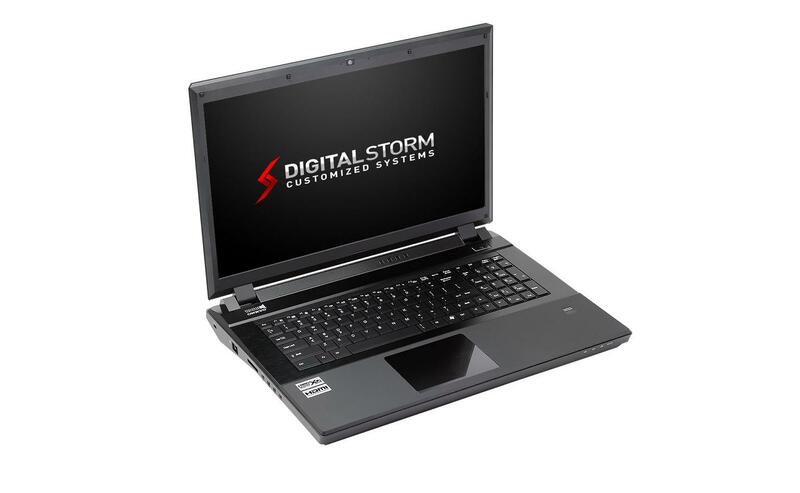 Digital Storm’s X17E will be available for purchase at the end of September for $1,753 & pricing for the X17E Signature Edition has not been set at this time. For more information, check out Digital Storm’s website here.